Oxford Properties has announced that it will open an innovative new food marketplace at Les Galeries de la Capital in Quebec City. It will be located in a retail space formerly occupied by La Maison Simons, which relocated into a larger space in the mall last week. 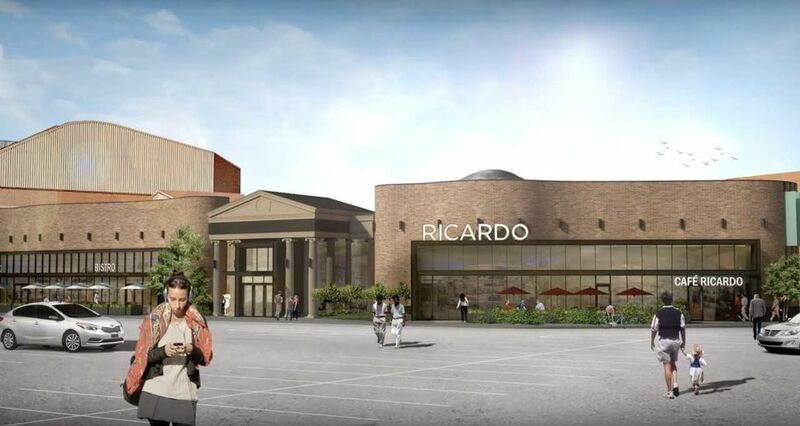 Part of the food marketplace redevelopment will include Quebec City’s first location for RICARDO Boutique + Café, a concept by the celebrity chef Ricardo Larrivee that kicked off a multi-location expansion last year. It’s part of a larger multi-year redevelopment of the popular Quebec City shopping centre, which will see almost $230 million invested into the centre when all is said and done. Common areas are being overhauled, as is the mall’s amusement park ‘Mega Parc’, which is being redesigned with a ‘steampunk’ theme and will reopen towards the end of this year. 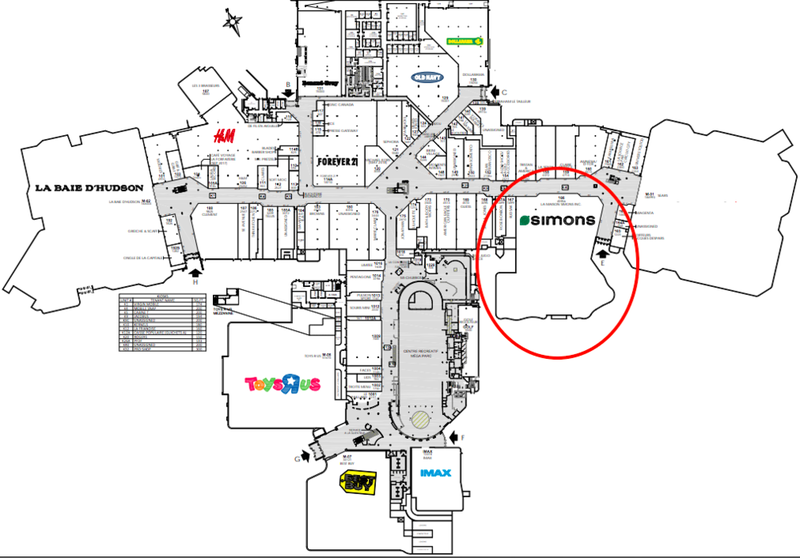 Last week, Quebec City-based La Maison Simons opened an 80,000 square foot ‘new generation’ eco store in part of the mall’s former Target space, freeing up Simons’ former 46,000 square foot space for the redevelopment. The new food marketplace, which is described as being a modern space inspired by European marketplaces, will be unveiled in the fall of 2019 and will showcase local food vendors and their products. A variety of artisans and merchants will offer specialties including meats, fish, seafood, cheese, spices, oils, olives, bread, pastries, juices, coffee, and various other fine products. The goal will be to offer quality and freshness at one location. As part of the food hall redevelopment in the former Simons space, the region’s first RICARDO Boutique + Café will open in the centre in a 9,000 square foot location. The food marketplace will be home to a boutique (featuring cookware, the art de la table collections and gourmet favourites) and a café that will seat up to 90 people. An adjacent 745 square foot patio will accommodate more than 50 people. It will be Ricardo’s third location (its second opened in Laval in November of 2017) representing an investment of nearly $2 million that will lead to the creation of 60 jobs. Owned and operated by TV host and businessperson Ricardo Larrivee, the new RICARDO Boutique + Café will be the first in the chain to offer an express counter with a variety of meals and desserts to-go. "We’ve been looking to open in Quebec City for a long time. We loved the idea of this new food marketplace that combines our mission with our concept. We can’t wait to welcome our first guests!”, said Ricardo Larrivee, who also leads the highly successful RICARDO Magazine that boasts a circulation of over 1,000,000 readers every issue. Manon Parisien of brokerage Aurora Realty Consultants represents RICARDO Boutique + Café in Canada and negotiated the Quebec City deal. “We are proud to welcome RICARDO Boutique + Café to Galeries de la Capitale! 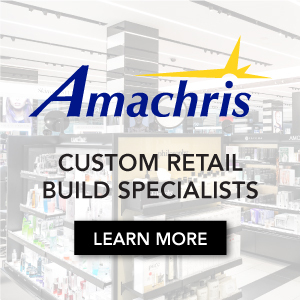 It’s always a pleasure to partner with an industry leader who, like us, is constantly striving to innovate and do better,” said Stéphan Landry, General Director of Galeries de la Capitale. Along with RICARDO, the new food marketplace will feature two restaurants as well as a kitchen space reserved for fine-dining demonstrations, workshops and conferences. It’s the third such food marketplace in an Oxford Properties mall, and its first for the landlord in Quebec. Above: The facade of the recently relocated La Maison Simons will be integrated into the new food marketplace facade. Above Photo: Simons. Below Rendering: Screen shot from the video above. Canadian mall landlords are investing in their properties like never before, with billions of dollars being poured into centres to continue to attract shoppers. Landlords are looking beyond traditional retail models and are seeking to add new food and beverage concepts, as well as entertainment concepts, in order to attract a broader range of shoppers and keep them on-site. Given the demise of Target and Sears in Canada, landlords have more options to repurpose space in their malls beyond that of traditional fashion and anchor retailers. Galeries de la Capitale scores high with ‘retailtainment’ with its in-mall amusement park as well as housing the only IMAX movie theatre in the area. The centre is the largest in Quebec with almost 1.5 million square feet of GLA, with about 280 stores and 10 million annual visitors. 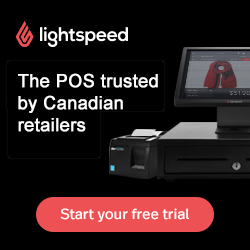 The family-owned Caledon-based organization works with some of the world’s leading brands on their store rollouts in Canada, and are known for exceptional quality and service. Opening to the public on Thursday morning, the 40,000 square foot multi-vendor culinary destination will create an urban gathering place while driving foot traffic to the adjacent shopping centre property. The highly anticipated renovation and repositioning of the historic hotel complex will include a substantial retail component facing onto Bloor Street West and Avenue Road in Toronto’s most prestigious district. The 250,000 square foot multi-brand Montreal flagship is on track to become one of the world’s greatest stores, including a massive beauty hall and 40,000 square foot men’s store with 25 in-store boutiques. Landlord Cadillac Fairview will transform the Toronto mall’s former Sears space for new retail and restaurants, and will renovate other parts of the centre with longer-terms plans that could include residential, offices and an on-site hotel. The multi-brand luxury retailer is renovating its 50 Bloor St. W. flagship with the addition of a new concourse level and Roger Vivier boutique, as it aggressively goes head-to-head with Nordstrom and Saks in the Toronto market.